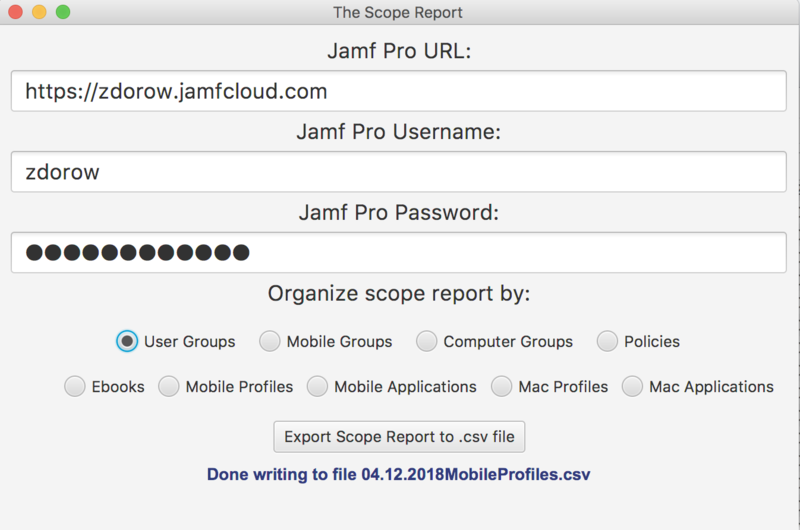 The Scope Report is a Java program that uses Jamf Pro API calls to collect and organize specific information about how everything is scoped in your Jamf Pro environment. 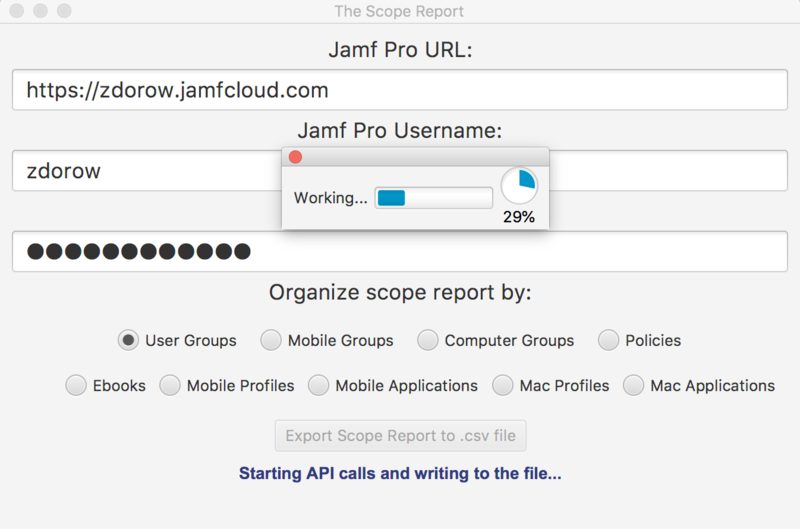 It can be run from any computer that can access Jamf Pro from their web browser and any user with at least read permission. It makes the .csv file inside the folder it was run in (or on the desktop with the MacApp) so it is easy to import wherever desired. 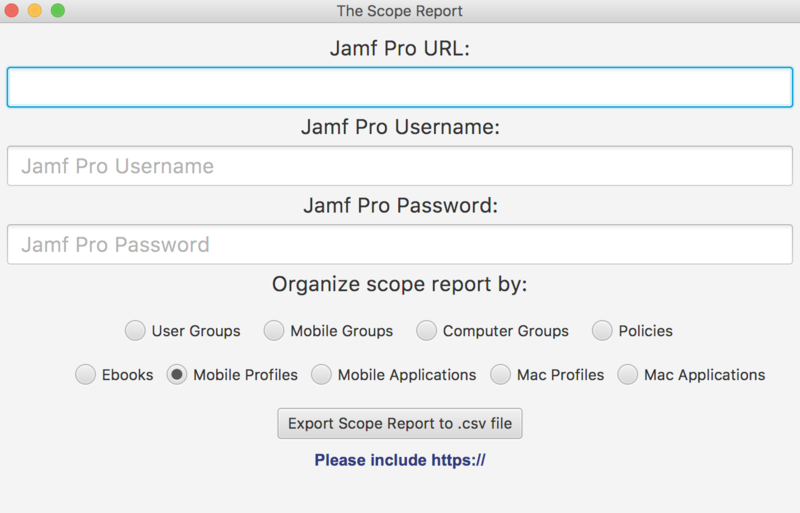 - The specific reporting of scoping that is not available in a Jamf Pro summary. - The feature request for checking what is scoped to a user group, device group or computer group without painstakingly searching through the items or digging up a lengthy MySQL query. Features: Handy Dandy Progress bar! *** ERROR HANDLING! It will tell you when you have the URL or the username/password incorrect. If you see the "Please file an issue error" please feel free to file an issue. Including the search you were performing and any data for recreation would be helpful in figuring out a fix. ***Warning!! *** The API endpoint for MacOS (computer) policies and profiles for user group searches is non-existent. The only search that works for user's scoped searches is for MacOS profiles and for Mac Apps, it does not work for users scoped to policies and only pulls one user group for profiles. A product issue has been filed and if the endpoint is fixed this program will be updated. As a side note all iOS (mobile) searches work great! **Note:** Any Device group search takes a bit of time and a straight scope report is a lot quicker. On my test cloud instance, the Group Searches take about a 1 minute each. In larger environments it could take a while. It is a steady stream of (non-concurrent) API calls that can vary in size for data returned, however the largest data stream return I have seen is 1 MB. Which should be very manageable in most environments. 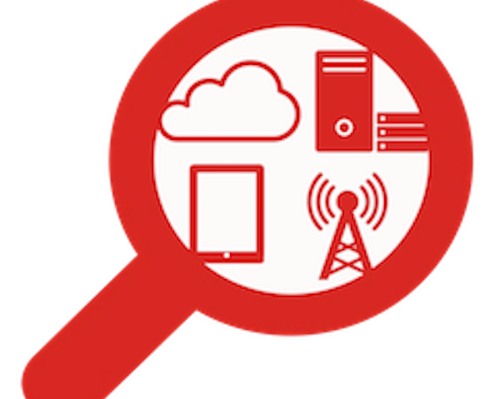 The ability to search only specific device group names would break up calls for larger environments if needed. So let me know! Running directly on the same server as Jamf Pro would decrease network traffic and would already have all the Java needed. Requirements: JDK and JRE (Written in version 1.8) Preliminary testing in Java 9 showed no issues. -Windows: Download Windows version and run the Start_Windows.bat or go to /dist/MobileDeviceTool.jar and double click. -MacOS: Download Mac version. Unzip and double click the MacOS_Launcher or go to /dist/MobileDeviceTool.jar and double click. EXAMPLE: java -jar '/home/jamfuser/TheScopeReport/dist/TheScopeReport.jar'....Has not been tested much in linux, however if you have the most recent versions of the JRE and JDK then it should run fine. It does not launch correctly if you double click (without a jar launcher) on it. It needs to be run using java -jar from terminal. It does require a GUI.